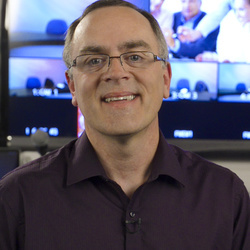 My expertise is in broadcast television systems, live interactive webcasting, and virtual shows. I currently manage, develop, and deploy a multi-tiered, web based application that incorporates streaming video software to deliver video, audio, synchronized slides, chat communications, and voting surveys. This includes complex streaming environments involving multiple concurrent live streams at various bandwidths, virtual 3D shows, as well as interactive audience feedback and live communication between audience and presenter.I brought live interactive streaming to ON24 in 2000 through Akamai and continued in 2001 to build ON24's production, signal acquisition, and encoding center with over 50 live encoders, satellite, fiber, and videoconferencing infrastructure to support to what has now become a 35,000+ event per year business. My contribution and commitment to excellence has been critical to ON24's success in the marketplace.With a current webcast run rate of ~40,000 events per year, my experience is unparalleled in the industry.Further, I have over 20 years of experience in television broadcast systems management and engineering. I am a former director for Fox Broadcasting & News, thriving in live television environments.I provide broadcast studio design and live streaming consulting services to a multitude of clients.